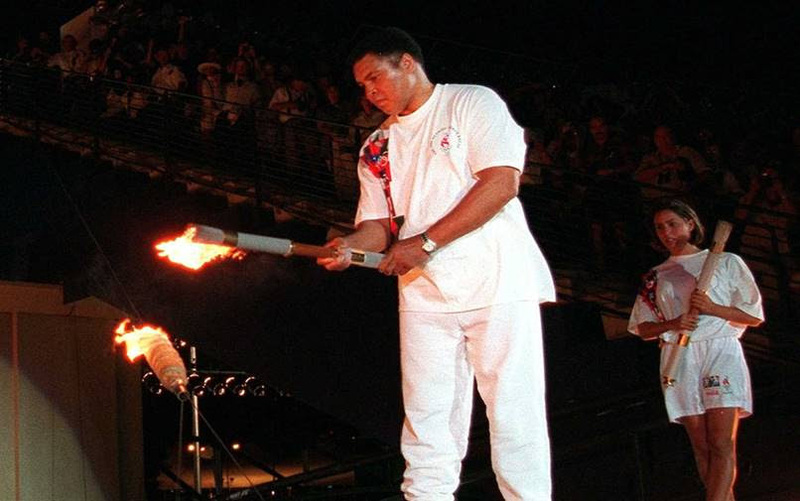 The World Boxing Council carries the voice of the boxing community from around the world with the petition to the International Olympic Committee to keep the sport of boxing in the Olympic Games. Boxing was one of the founding sports of the original Olympics and has been a participating sport since 1904 in the modern Olympics. The world of boxing is certain that the IOC and AIBA will world out any differences, which has put the continuation of the boxing in the Olympic Games in jeopardy. Amateur boxing is the foundation of this great sport, which allows young kids follow their dreams to conquer Olympic glory representing their country. 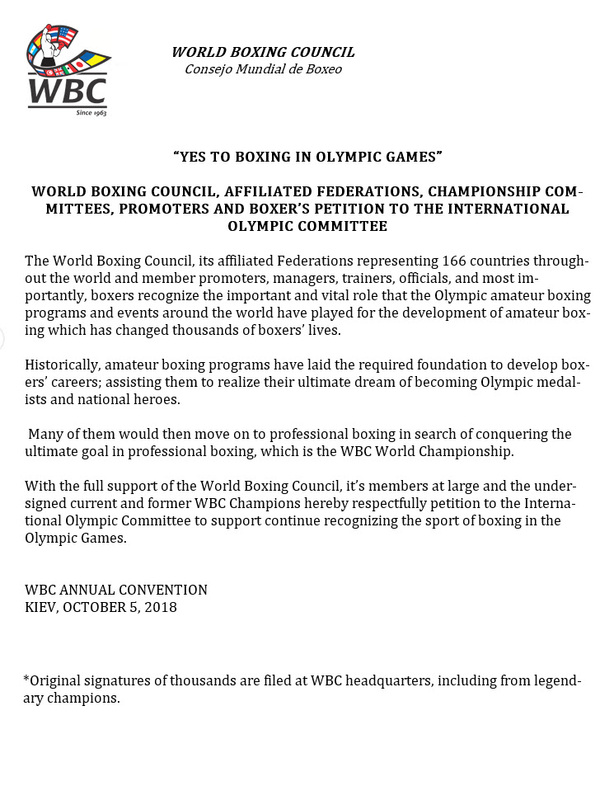 The WBC signed a proclamation during our 56 annual convention in Kiev Ukraine voicing the wishes of millions from all around the world “Yes to Boxing in the Olympic Games”.